Do you want to know about medical terms?It is useful for medical students also. just equiped you with medical dictionary for windows mobile, also, its can be installed on HTC Phone. 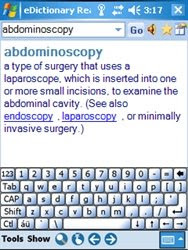 Medical dictionary included office application category.